What does it mean to be “tied to the land”? Once you have sold farms and ranches for 20 years and enjoyed much of the same lifestyle yourself, there are certain observations and conclusions that are easy to come by. Our past and current clients are all “tied to the land” in some way, whether it is by their hard work or by their investment in the land. One of my favorite men of the past generation is Will Rogers, and I think he put it best when he said, “What the country needs is dirtier fingernails and cleaner minds.” The virtues of dirty fingernails generally apply to those that are responsible for the production or care of something else. For most people, owning farm and ranchland involves them as a steward and caretaker. Your tree fell on the neighbor’s fence, so someone needs to know how to run the chainsaw. When it’s time to ship the calves, somebody must be responsible for the cut gate. Somebody is prepared to help that first-calf heifer. Somebody will have to clean up the turn row and fill the planter. Sounds like pretty simple stuff, but the virtues of the knowledge, problem-solving skills, and appreciation from tending to farm or ranch land are in high demand. These skills can be exponentially leveraged in life decisions outside of land stewardship or agrarian economies. I have a friend and a client that was required by his parents to graduate with an agriculture production degree, further his education with an MBA, and do post-graduate work in ranch management before he could go to into the family business of investment banking. 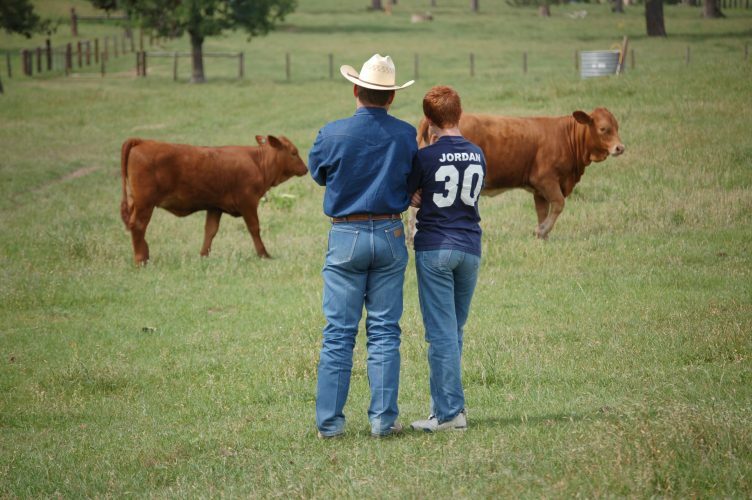 Firm handshakes, hard work, reaping what you sow, and living with failure are certainly virtues better taught on the family ranch than at Harvard. 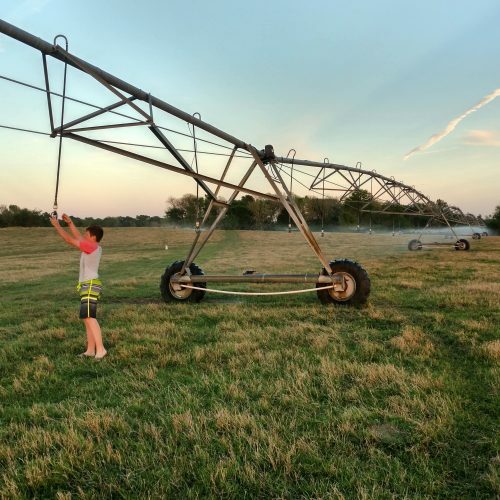 I am grateful to have my kids “tied to the land” and learn these valuable lessons, as I know they will serve them well, whether it is on the ranch or in the boardroom. Accordingly, one of the ideas we promote significantly within the partnership is the terminology of “Investment Quality Rural Real Estate”, or the simple idea that placing or leveraging wealth into farm and ranch land can serve as an investment vehicle. Will Rogers also used to say, “Don’t wait to buy land, buy land and wait.” Many of our clients are motivated to build a legacy for the next generation through the purchase of a farm or ranch that is less “liquid” of an asset than other investments. Patience, land improvement, long-term appreciation, and the cyclical nature of real estate all serve to educate the next generation’s investment principles. Having wealth “tied to the land” brings mature balance to a youthful worldview that is accustomed to instant gratification.